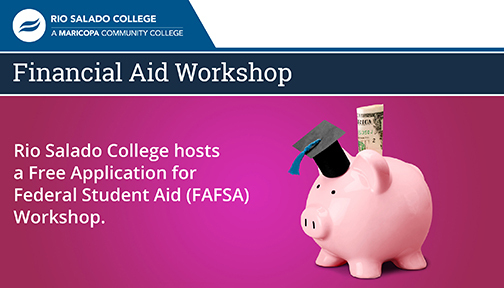 Join Rio Salado for FAFSA Day, November 1-- where you can attend a free financial aid workshop that will help you complete the Free Application for Federal Student Aid (FAFSA)-- and explore funding options available to help you pay for college. Student FSA ID: Secure your ID ahead of time at studentaid.ed.gov/sa/fafsa/filling-out/fsaid Provide parent ID if you’re a dependent. Social Security Number: Students younger than 24 and classified as a dependent by their parents before Dec. 31 of 2019, will also need to bring their parent’s social security number. 2017 Taxes: IRS 1040, 1040 A, 1040 EZ, and foreign tax return if applicable. If you are a dependent or married at the time you are applying, you will also need to bring your parent or spouses’ taxes. Financial Records: Documentation of cash, savings and checking account balances, investments, stocks, bonds and real estate investments (not including your home where you reside), business and farm assets. 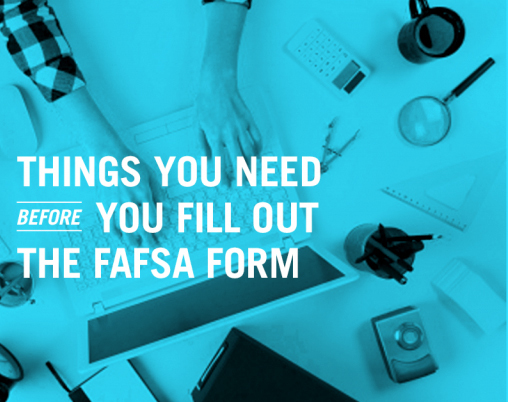 Also records for parents if you are a dependent. If you want to complete the 2018/19 FAFSA bring your 2016 taxes as applicable along with all other information noted above. 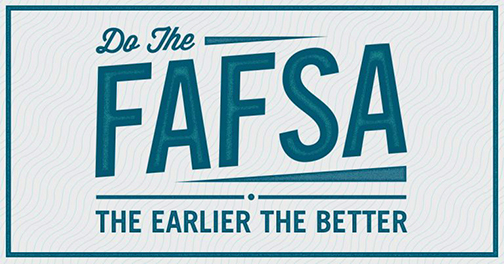 Get Started on Your FAFSA Now-- for 2019/20! To submit your application as a Rio Salado College student, use school code 0014483.